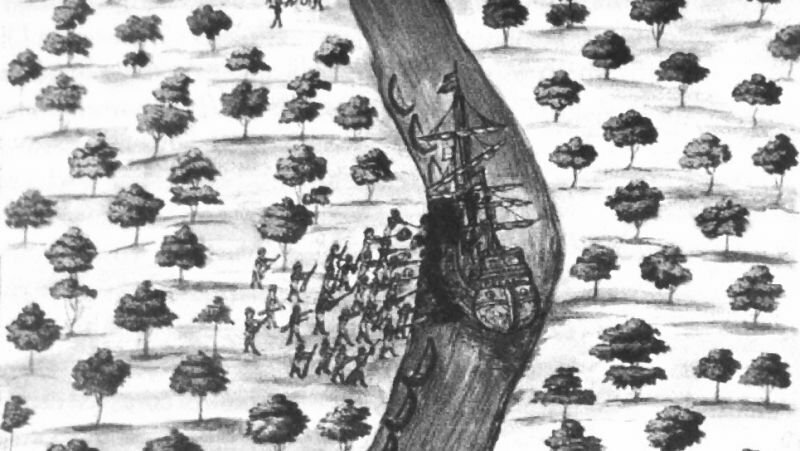 17th century Siamese picture depicting stakes and trees being used to block a European ship in a river before attacking it – a technique used against a Dutch patrol ship in 1675. VOC iron cannons at Phuket Provincial Hall. During this fight a Dutch marine fired a blunderbuss into the locals, killing two and dispersing the rest of the crowd. The Dutch gunship itself then also entered Patong creek and came up to “where the river was very narrow,” presumably to take on the prow’s confiscated cargo. To make matters worse, that year (1677) the Phuketians attacked and pillaged yet another Dutch blockade ship. After this assault and still no recompense, the VOC directors seriously discussed invading and colonising Phuket. Moreover, if any Phuket officials failed to comply immediately, the king would have them executed. The Phuket governor immediately sent out his officers to “presse all the carpenters and set them to work.” El­ephants were employed to “carry down the guns, firearms, shot and powder, thereby to have all things in readiness” and the armed war prows were ready in just over a month. Even maintaining the blockade of Phuket, for a trade so meagre and troublesome, made little financial sense. The VOC at the time already employed over 3,500 sailors and 18,000 slaves on its patrol ships in the East at great expense. Plus the tin price had recently fallen in China and the VOC was only making a 21 percent mark-up on the tin it bought in Phuket whilst items from other peninsular ports made much more, for example deer hides from Ligor sold in China at 189 percent profit and Sappanwood made over 300 percent. 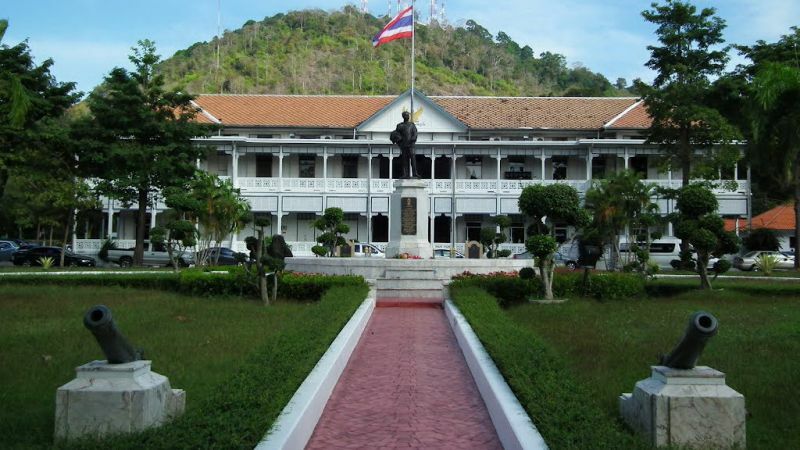 The VOC did continue to try to get King Narai to honour its tin-buying monopoly con­tract in Phuket that he had signed, but King Narai evaded the issue by telling the Dutch that the lawlessness on the island made it too dangerous a place for them. In 1679, for instance, he wrote to Batavia to inform them that some Keddah Malays and pirates had attacked and taken Phuket and he was sending a force from Ligor and Tenasserim to chase out the intruders. Today there is almost no trace at all on Phuket of the half century that the Dutch claimed dominion over the island. The only evidence seems to be the two VOC iron cannons dating from 1620 on display in Phuket Provincial Hall. These cannon may have been sold to Siam, stolen from the VOC factory at Tharua or maybe taken from one of the captured VOC patrol ships.